Published: Nov. 4, 2018 at 10:23 p.m. Published: Oct. 28, 2018 at 05:14 p.m. Published: Oct. 15, 2018 at 10:50 p.m. 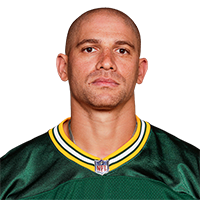 Published: Sept. 30, 2018 at 01:35 p.m.
Green Bay Packers quarterback Aaron Rodgers finds tight end Jimmy Graham for a 3-yard touchdown.